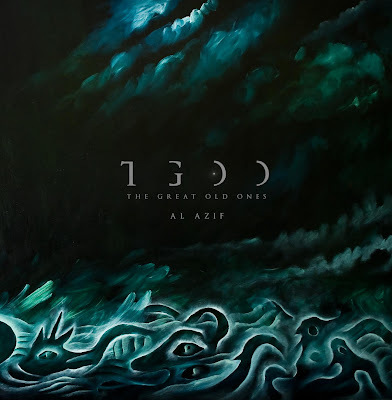 The Great Old Ones really surprised me with their first record, Al-Azif. At first sight, this record looked like the typical “first album” coming your way with all the clichés you can imagine: “ the boring concept, the crappy sound, the bad musicality and the feeling that you’re listening to a bunch of teenagers who had nothing better to do than practice their instruments every other rainy weekend”. Of course, these records usually come out on new and elitist labels that thought that THEY would find The Next Big Thing while important labels manage to feed us crap every week claiming it is the real Next Big Thing. But The Great Old Ones crushed these clichés (that are not always meaningless) in a blink of an eye. 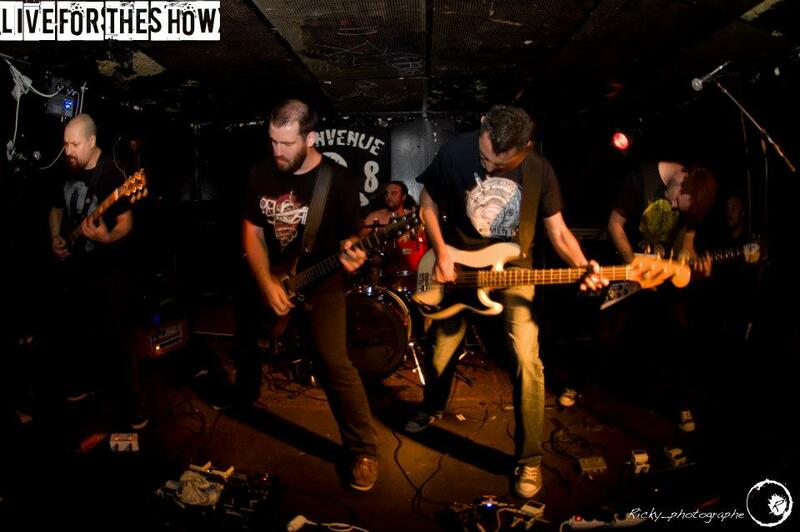 This band is formed by very talented and experienced musicians from the French Metal scene. Their first album is ambitious indeed but they managed to do things perfectly right: from the fantastic artwork to the great sound and of course the unique personality they demonstrate all along Al-Azif. The young label doing the best they can to promote their potentially Next Big Thing is just the icing on the cake. Interview with bassist Sébastien Lalanne. The Great Old Ones is a new band on the French Metal scene, could you introduce us to the band members? Especially if they played in other bands before! Well, Benjamin Guerry handles the guitar, and he used to play in Day Of The Fisherman (HXC band). Xavier Godart also plays the guitar in our band. Léo Isnard is our drummer, and he’s actually a drum teacher, (plus half a dozen very different bands!). 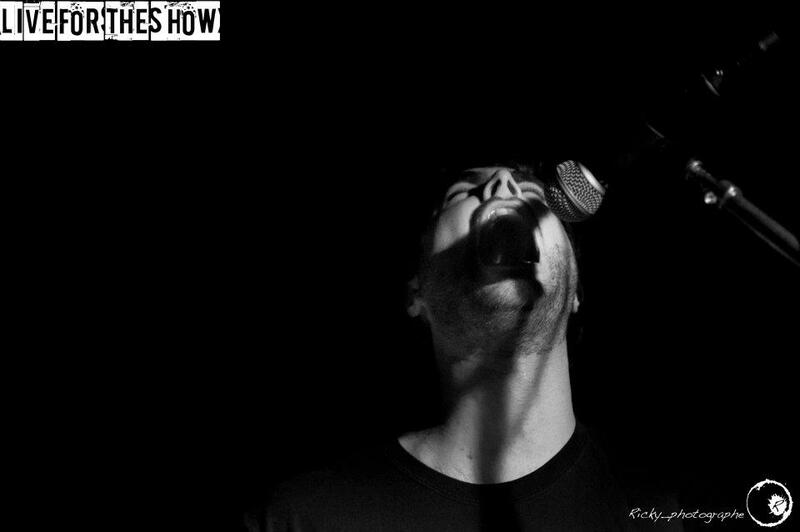 Jeff Grimal is our singer, and he is in charge of our artworks as well. He’s played in several bands like Tormenta and Absurd (not the hideous fascist one) and Let Jesus Bleed. As you know I’m Sébastien and I handle the bass, I used to play in My Sovereign and B-Side Box. Who was behind the creation of the band, was there a natural leader in the first place? Yeah, Benjamin wanted to form the band back in 2009. He actually started composing on his own and collecting ideas. When he realized the ideas were pretty strong, he started to imagine this originally personal project as a real band, with specific themes linked to Lovecraft’s stories. And last year, he’d composed 5 complete songs when he came out looking for musicians. That’s when we met and we started out pretty quickly because much of the songs were ready! And how did you guys meet Les Acteurs de L’Ombre Productions? We had pre-produced the album and we were looking for a label, Anthiétic Records, Les Acteurs de l’Ombre, and 2-3 other labels contacted us. We knew that LADLO were doing a great job with their other bands and honestly we just had a good feeling and said let’s go! I want to thank Gérald from the label because he immediately gave us his total support and confidence. I suppose that things are going great so far since all of the feedback on the album is tremendous. Yes! We are overwhelmed. I mean it’s pretty surprising too since we expected some guys from the “orthodox” Black Metal scene to give us a hard time but so far, everybody seems to like our record. And what does such a positive feedback induce? More sales? Lots of media solicitations? More touring possibilities? Well right now, all of this is still too fresh, I can’t really tell, we’re still actually promoting the record. As far as I know, the sales are pretty good, and LADLO are really doing the best they can to give us maximum visibility. As for touring, you probably know how much times are rough, but hey, we’ve done our best and now you gotta cross your fingers and hope some good opportunities will come along! All right, let’s talk about Al-Azif more specifically. You told me a minute ago that the Lovecraftian theme is completely part of your music. Yeah, Benjamin literally conceived the band with these stories, and everything is linked to them, even the production of our sound and Jeff’s artwork. And is there a specific concept linking the songs? Not really. Each song is about a Lovecraftian character or story. The album name Al-Azif is the name of the famous Necronomicon (the fictive novel imagined by Lovecraft and that is referenced in some of his novels). It’s also the name of the insect sounds you can hear when it’s absolute night in the desert. And are these specific themes really part of The Great Old Ones? I mean is there a possibility that one day the band composes songs about different subjects? For now, we are 100% focused on Lovecraft, but I can’t say we’ll NEVER compose about anything else… There are so many fascinating authors out there with a million possibilities we could explore. Music-wise, how would you describe The Great Old Ones? That one gave me a headache! (Laughs). I’d say dark and dream metal. Somewhere in between Year Of No Light, Wolves In The Throne Room and Ahab maybe. Well that’s a very fine observation as we are definitely fans of Lantlôs. But their intentions are a bit different from ours as their sound is much brighter and not as dark as ours. And they are referenced as a Post-Black Metal band, which is also the label you guys are given. It’s a pretty good label I guess, since we did keep our Black Metal roots, especially when it comes to drums and guitars. And I think we're also close to the “post Metal” scene because we play with the same kind of atmospheres. So yeah, call us “Post-Black Metal”, its totally fine with me! I also love the fact that your music is extremely visual, like a succession of abstract paintings, very colored but mostly dark. Well if we managed to make your imagination paint these images, then I suppose we accomplished our mission! Out music is extremely complex and has many sound layers. Each person will perceive different sounds depending on your sensitivity and of course you musical background. Some other reviewer felt our music was like Funeral doom! What the hell, I say why not?? And how did you guys build this complex music? Did you work like traditional Metal bands, based on good ol' guitar riffs? No, we really consider the songs in their entirety, not just like the addition of different riffs. We specifically try to avoid the classic composing method, like coming up with a riff and building a song around it. The idea is to build sonic-layers that will evolve through the songs, and off course the traditional Metal riffs help us do that, among other elements. There is an entire Black Metal scene that considers things that way, like obviously Wolves In The Throne Room and Lantlôs. Do you guys feel related to that new way of playing Black Metal? Of course we are. Just like the bands you mentioned, we have “digested” all the traditional Black Metal influences , and we play outside the usual limits of that scene by integrating elements from other musical styles. And yes a new scene might be emerging, I guess we’re part of it now. Something really impressed me with Al-Azif: it’s the fact that everything is so professional, the artwork, the awesome sound, and I mean, there are no visible flaws here, everything is so coherent! Thank you for the compliment, really. The thing is we all had other experiences before joining the Great Old Ones and on the first day we decided that this album was going to be EXACTLY the way we wanted it to be, so that we will not have any regrets. It’s so annoying when you have to put an album out there and immediately start regretting you didn’t invest more time and money because this or that element is not exactly the way you wanted… So frustrating we never want to feel this again. What are you upcoming plans ? Right now we’re working on a possible European tour, and we’ll try to play as many shows as possible in France by the end of 2012. We’ll be playing on June 30th in Nantes, July 1st in Paris and on the 29th of September in Lille. Otherwise, we also are working on a split CD that should be out in 2013, and guess what, the second LP is already on track! We’ve already composed a bunch of new songs. Thank you Sébastien and thanks to Ronnie and Gérald from LADLO productions ! !